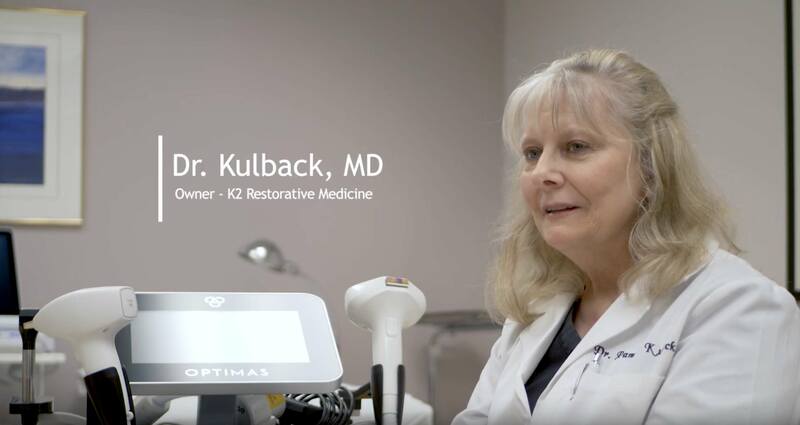 Using today’s most advanced technology, K2 Restorative Medicine creates a state-of-the-art treatment plan to help you reach your goals for youthful beauty and whole-body wellness. We appreciate your natural beauty and create options that will enhance your appearance without compromising your own, natural look. Discover how our Botox® and Dysport® treatments can help you achieve a natural-looking, youthful appearance and how PDO Thread Lifts can transform your skin through an amazing, non-surgical procedure. We care about your unique desires for your own, personal health, wellness, and beauty. We provide thorough, non-pressuring consultations to answer your questions and provide you with state-of-the-art solutions that offer a natural appearance. We’ll educate you about each procedure and address all of your concerns. From treatment costs and pricing, to techniques and results, our consultations will guide you through all of your options. Discover our mission for providing safe and effective treatments for all areas of the body. K2 Restorative Medicine provides the highest-quality, most-advanced treatment options for skin and aging solutions. Serving both the Birmingham, Alabama and Rosemary Beach, Florida areas, we offer customized treatment packages to provide solutions for common issues such as acne, skin wrinkling and signs of aging on the skin, brown spots or skin discolorations, as well as hair loss, joint and tendon disease, urinary incontinence and sexual dysfunction in woman, and sexual dysfunction in men. Dr. Pamela Kulback has personally-trained with today’s leading experts in the fields of facial aesthetics, sports medicine, and musculoskeletal diseases and has trained alongside the world-renowned inventor of the Vampire FaceLift®, the O-Shot®, and the P-Shot®. Dr. Pam and her staff are wonderful! What a fabulous experience! She takes her time explaining your options and recommendations. My first microneedling session was comfortable, almost like a facial. By morning, I already see smaller pores and how much smoother my skin is. I can’t wait to see the long term results! Highly recommend Dr. Pamela Kulback for your lip needs! I won a lip treatment back in October, and i finally got in to get them done, and they are SO beautiful! She done an amazing job with my lips, i felt so comfortable with her doing them and her talking me through the process! She’s amazing! Just had my first microneedling experience with Dr. K. The process was easy and the results fantastic. My skin feels so hydrated and soft. I’m 53 and really needed to give my skin some attention and love. Because she is a highly skilled physician she answers all my questions with real expectations. Dr. K was in charge of my first Botox treatment. I️ could not be happier with the care nor the results! I’m 28 and so excited that Dr. K is in charge of fulfilling my skincare needs. There’s no one I️ trust more to care for my skin. Thank you, Dr. Kulback! 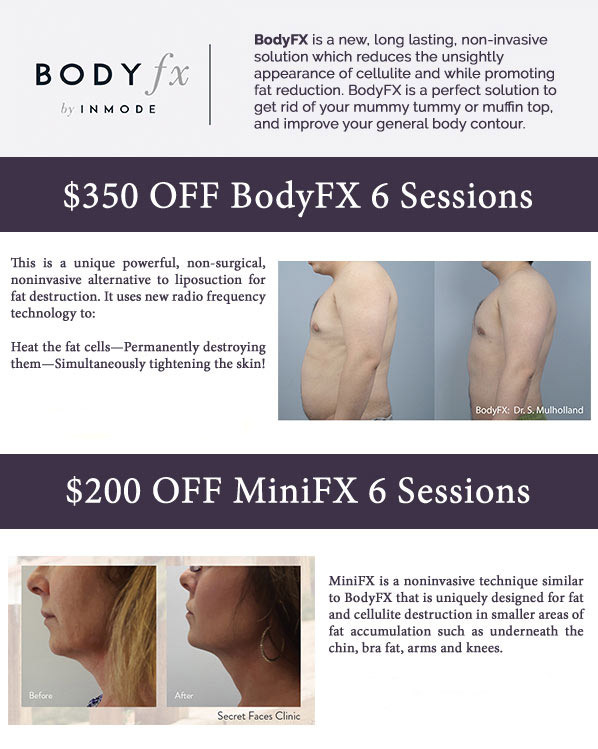 Get $350 OFF BodyFX 6 Sessions & $200 OFF MiniFX 6 Sessions!